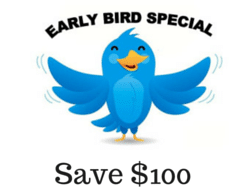 BOOK TWO MONTHS IN ADVANCE AND GET $100 DISCOUNT FROM THE PUBLISHED PRICE. Yoga Sadhna India offers 200 hours Hatha yoga Teacher Training course in Rishikesh, Goa, Delhi for your personal and professional growth. Our yoga teacher training is inclusive of Ashtanga and Vinyasa style, and provides a great way to start your journey. Refine your hatha yoga Asana. Be intelligent and confident to explain the details of each to your students. We cover diverse Yoga asanas styles and postures, and help you to understand their differences in our Hatha yoga Teacher Training. We offer these training in tranquil environments to enhance the experience. Ytt in rishikesh, Ytt in Goa, Ytt in Delhi for you to choose from. The Hatha Yoga teacher training runs for 26 days and divides its course work into multiple phases. Each stage is an a gradual easy to difficult immersion challenge , as you progress in your hatha yoga teacher training. Completing the full Hatha Yoga Teacher Training transforms you forever. 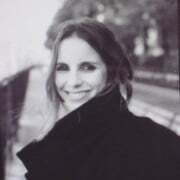 Upon complettion Yoga yoga teacher teaching yoga alliance certificate. Yoga Sadhna India designs and proceeds through the certification of 200 hrs Hatha Yoga Teacher Training Course in a structured, scientific way. 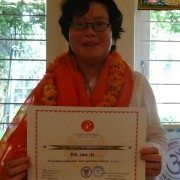 Our learned gurus and acharya mentors have done their training in Rishikesh, having earned great reputation in renowned and prestigious ashrams. They have a good command over traditional teaching style, with their classes flowing with both the elements of fulfillment and enrichment. You get authentic knowledge from every session and learn the accurate way to practice. This deep experience helps to shape your body and train your mind for continuous improvement, allowing you to master the knowledge of all eight limbs of Yoga of Patanjali Yoga Sutra. Shift into accurate practice change mind set, get new habits and excel as Yoga Teacher. Yoga Sadhna India offers 300 hours Hatha yoga teacher training course for your personal and professional growth. Here you learn advance hatha yoga poses. Advance pranayama practice along with in-depth techniques of meditation, shat kriyas, advance mudras, and some advance bandhas. Our this training of advance level is inclusive of Ashtanga and Vinyasa style. We cover diverse asanas, styles and postures, and help you to understand their differences. The course training runs for 40 days and divides into multiple phases. Each stage is an intensive immersion challenge for your mind and body. Our learned yogis combine analytical yoga imperatives and practice experience with knowledge to deepen the alignment of your body and mind. Their guidance helps you to strengthen your body and bring a long-term transformation to your health. Taking you beyond the 200 hour Hatha Yoga teacher training, we help you take your individual practice to the market place. The course is an intensive, immersive program that gives complete proficiency in Hatha Yoga advance series. The program structure follows a scientific module and makes you proficient in increasing difficult asanas towards the final certification. As an YSI attendee, you become a lifelong member of the Yoga Sadhan India family. We extend support, insight and knowledge to all our students to help them becoming the best. We offer guidance and keep you informed about the changing market needs. Our students also remain aware of the priorities required for their segments, which helps them to increase agility and adaptability in the market place. Upon Compilation Yoga Alliance, USA Certificate. Accommodation With Food For 26 Days. Over 200 Hours Of Yoga Education. Workshop On Alignment And Adjustent. Workshop On Applied Anatomy, Yogic Anatomy. A Yogic Bag With Gifts. Home Made Vegetarian Fresh Food. Small Group Sizes – Less Than 14 . Highly Qualified, Certified, Trained Teachers. Arrival = A day before the training date is highly suggested. On the banks of River Ganga, where a little town named Rishikesh, situated on the foothills of Himalaya, breathes, Yoga and spirituality. The crisp mountain air, white sand Ghats and the evening perfumed air with the lulls of chants awaits you. Yoga and meditation with Rishis spotted everywhere. Delhi, a metropolitan capital city of India, has much to offer. Amalgam o Indian Culture, gastronomical delights, beautiful museums, history, culture and theater all compete for your time and attention. Bollywood dance classes is an added attraction, which is taking world with a storm. White sand beaches, Goan Curry, Ocean breeze, tall palm trees, immersion with great Arabian sea perfect temperature. All comes alive with Hatha Yoga Teacher Training. The energy and ambience found here is unbeatable. The Portuguese influenced churches, where church bells toll every morning and evening. Nothing boasts better than the layers of tranquil mountains of Kumaon, witness snow clad giant magnificent Himalayan Range. Practice meditation, Yoga in valleys full of fruit orchards. Bounty galore.. breath pure, practice pure-Yoga. 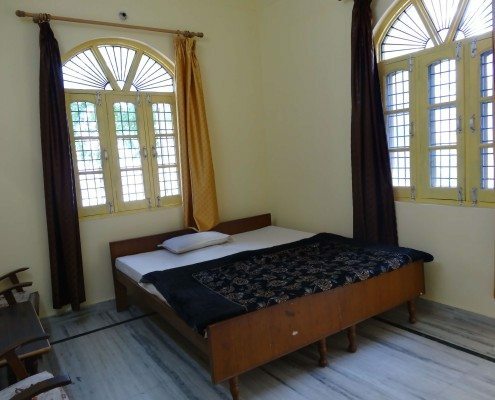 Yoga Sadhna India, offers a well maintained twin sharing accommodation. 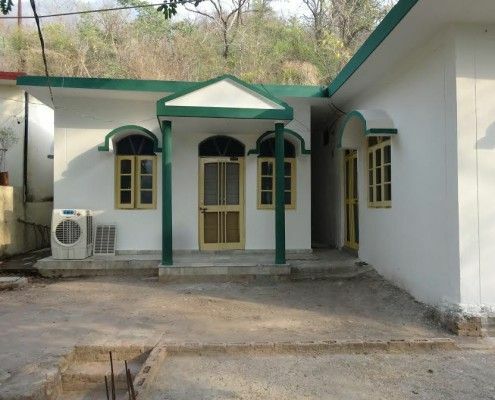 Which is located in a clean and comfortable ashram like setting and has hot water, attached bath, western toilets and all the other essentials you would need to pursue yoga training. Early registration gets you the best rooms. Our locations are selected with great care and are situated in serene quiet places to facilitate teachings and training. Your yoga halls are nice and well ventilated. We try our best to get you WI-fi at all our locations. Single rooms are also available, though in limited number. They can be requested at a marginally higher cost. Close to market place to help you take care of your daily essentials. While you are on your yoga teacher training schedule, wee serve locally produced, home-cooked pure vegetarian yogic food. It is cooked with love and care and is full of all the proteins and energy components, needed for budding yogis, like you. Meal is provided thrice a a day. We try our best to accommodate your food limitations, which you must specify prior to arrival. However, due to our geographical limitations, at times it may not be possible for us to comply with every request. Detailed teaching of Ashtanga Vinyasa Primary Series 1 and Hatha Yoga 36 asanas. Maximum number of asanas to cover different joints and members of the body. Different schools of sun and moon salutations. Sequencing and flow of asana practice. Balancing poses, meditative poses, forward and backward bending poses, twist poses, invert and kneeling poses, standing and supine poses. Four types of yogic breathing, diaphragmatic breathing, Knowledge of Ida, Pingla, Sushumna Nadis. Eight different types of Pranayamas. Utilizing different ratios of breath in prananyama. Covers 4 types of 36 Mudras and 4 bandhas its usage, technique and benefits. History and yogic philosophy, and its importance in your yogic practice taught in fluent simplified English by yogic gurus. 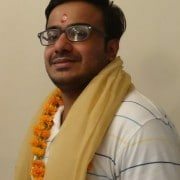 Introduction of yogic life, diet and Indian culture. Four faculties of mind and types of consciousness. Yogic ethics and way of life. 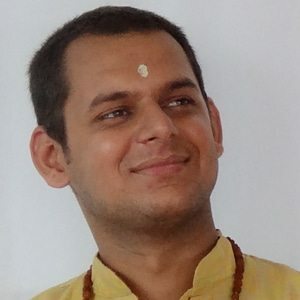 More than 10 meditational techniques and styles. Adjustments of asana in coordination with breath and mind. oga clothes to suit climate conditions and locale. Upon booking you will be provided clear instructions. Bring comfortable Yoga clothes. My experience at yoga sadhna india was great. 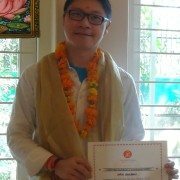 I felt very good , this is my first time I got yoga training certificate, they gave us good the training , training was not only not about our body but also the knowledge of the mind. I felt l my whole life has been changed. I think after this training I would have different and holy life. My experience at yoga sadhna indiawas wonderful. I joined yoga sadhna india for yoga teacher training for two months They are really amazing and wonderful teachers/Masters. Their teaching is great. I highly recommend this yoga school for yoga education. Very good place to learn yoga. 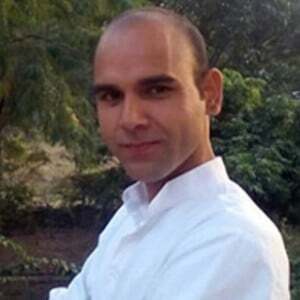 Join kapil ji yoga classes . they are great and join sadhna ji “s philosophy and anatomy class. They are great. Best school. I highly reccommedent this yoga school. 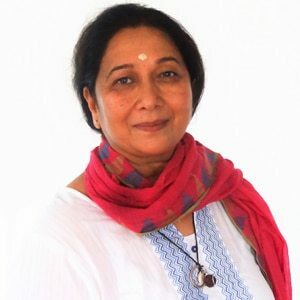 Dr. Sadhna has been teaching yoga for the last six years and has been a practicing Mind Body Psychotherapy for the last 20 Plus years, a licensed psychotherapist and a certified Yoga Alliance Instructor. 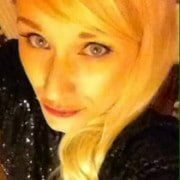 She has dedicated her life educating and imparting lifestyle changes. 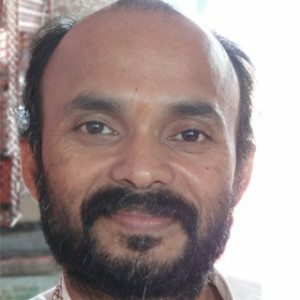 Acharya Mohan is a qualified and competent yoga trainer practicing Hath Ashtanga yoga and has been sucessfully teaching in this field locally and internationally. I started yoga at the age of 15. I am regularly participating in a number of seminars and yoga festivals conducted all over the world.